Every year we look to make the Scooter Hut Pro Scooter Series bigger and better in every way we can with direct input from riders, industry leaders and extreme sport advocates. 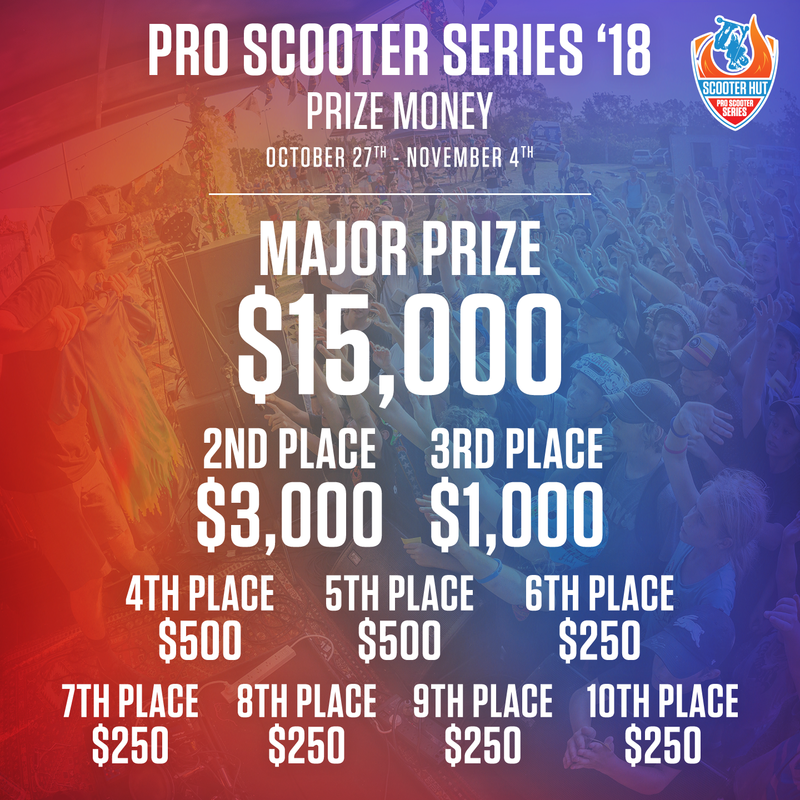 This year by making changes to the series we hope to improve and increase the awareness for our sport and keeping this event as the biggest in the scooter industry. In previous years the Pro Series has been held internationally, with qualifiers held in the United States, United Kingdom and Australia. This year we are going back to our roots, by holding an invite only series for the worlds best riders. We will be inviting twenty of worlds best riders to compete for $25,000+ prize pool. With all events being held in Australia we are creating a world class event for our riders to win some big money. Following our original mantra to allow riders to make decent money off competing, and help get our sport to the next level. Returning for a third year JonMarco Gaydos is set to defend his title, win three in a row and cement himself with the greats of our sport.